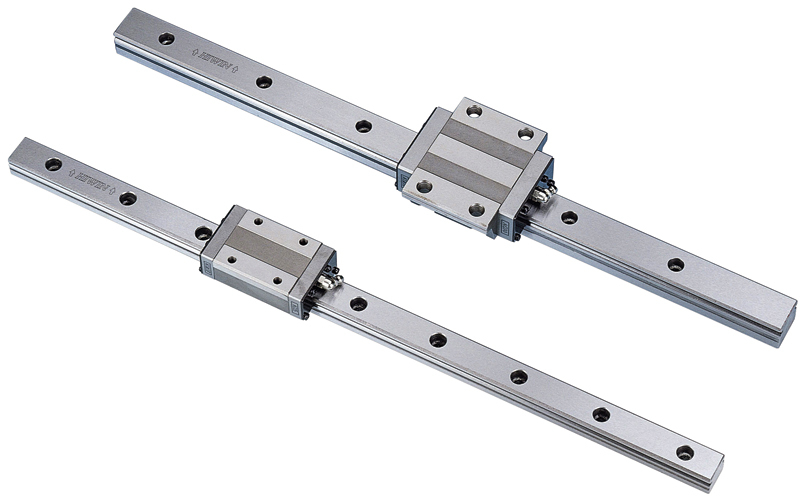 Linear guideways provides linear motion by re-circulating rolling elements between a profiled rail and a bearing block. 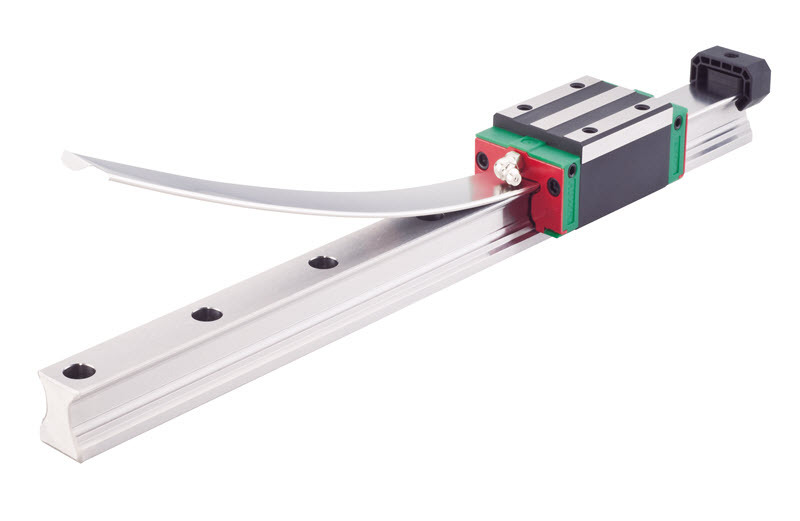 The coefficient of friction on a linear guideway is only 1/50 compared to a traditional slide and they are able to take loads in all directions. 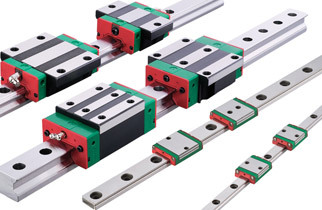 With these features, a linear guideway can achieve high precision and greatly enhanced moving accuracy. 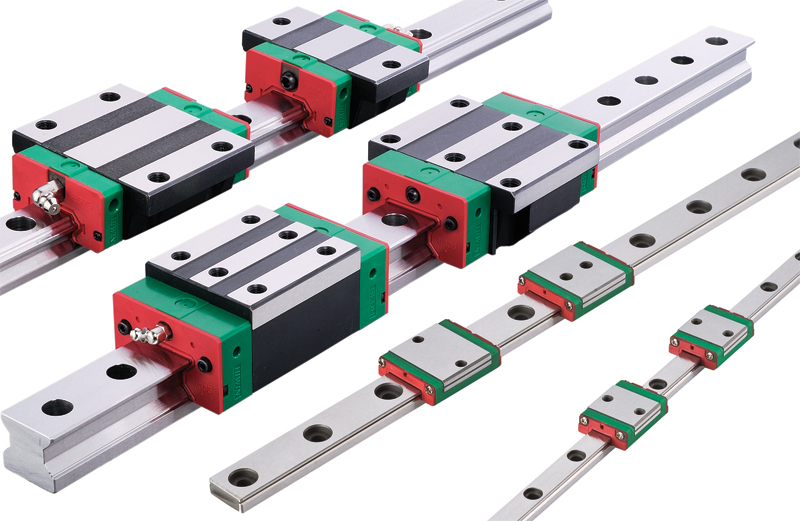 Hiwin Corporation offers multiple linear guideway series, each featuring different options for sizes, loading capabilities, accuracies, and more. The RG series features a roller as the rolling element instead of steel balls. The RG series is designed with a 45-degree angle of contact. Elastic deformation of the linear contact surface, during loading, is greatly reduced thereby offering greater rigidity and higher load capacities in all 4 load directions. 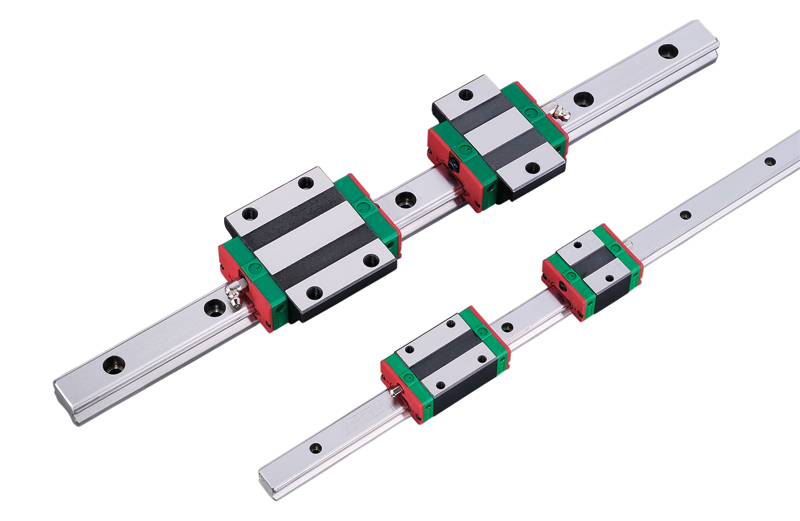 The RG series linear guideway offers high performance for high-precision manufacturing and can achieve a longer service life than traditional ball bearing linear guideways. 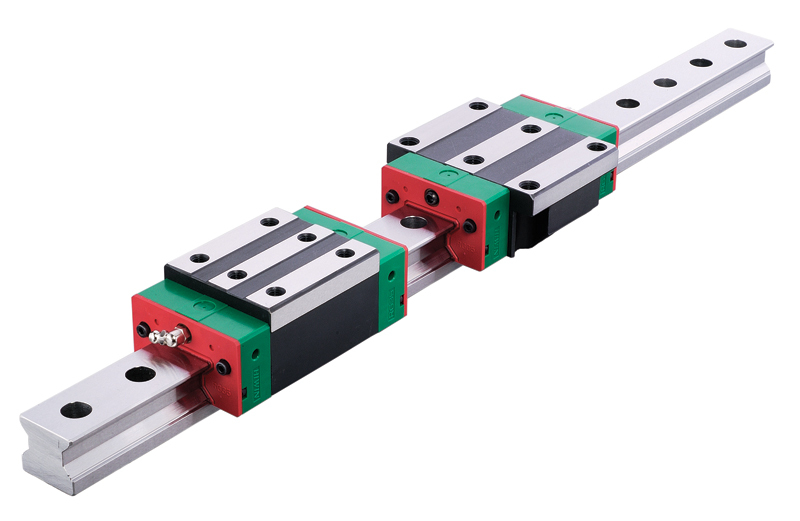 The development of Hiwin's QH linear guideway is based on a four-row circular-arc contact. 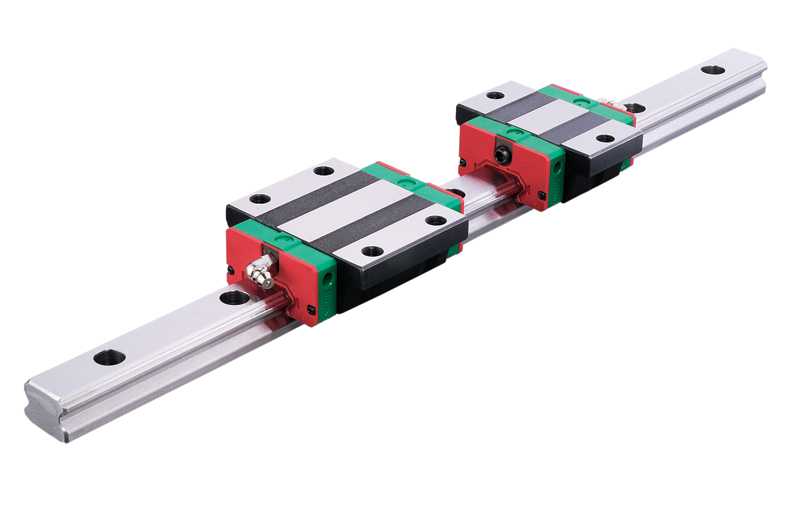 The QH series linear guideway with SynchMotion™ Technology offers smooth movement, superior lubrication, quieter operation and longer running life. 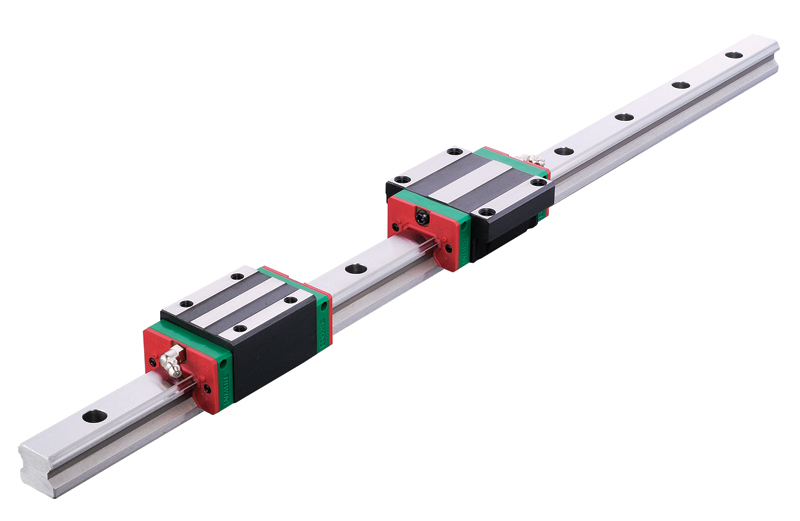 Therefore the QH linear guideway has broad industrial applicability in the high-tech industry where high speed, low noise, and reduced dust generation is required. The QH series is interchangeable with the HG series. 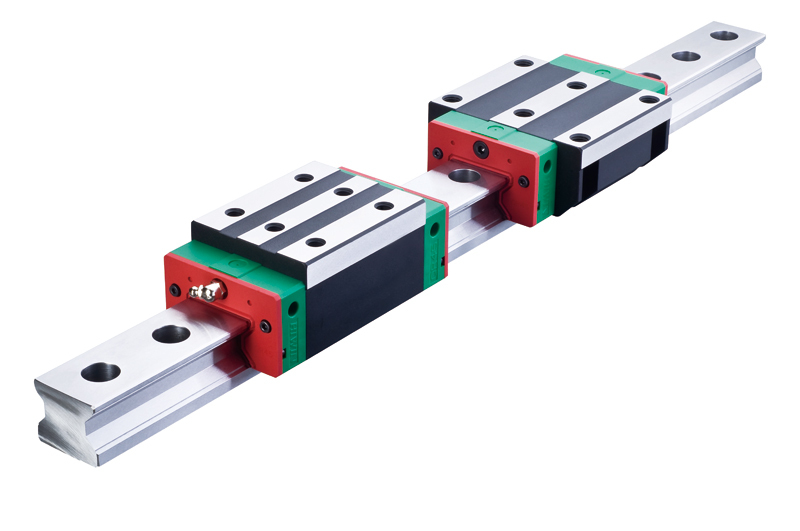 The development of the Hiwin's QE linear guideway is based on a four-row circular-arc contact. 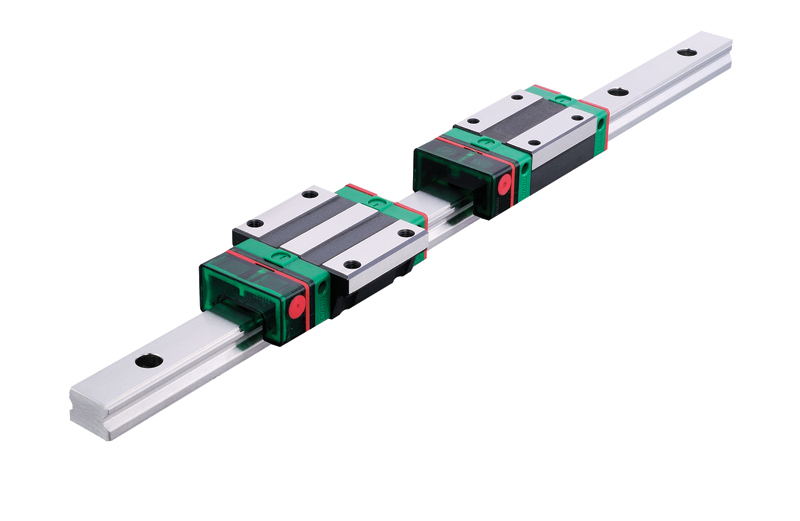 The QE series linear guideway with SynchMotion™ Technology offers smooth movement, superior lubrication, quieter operation and longer running life. 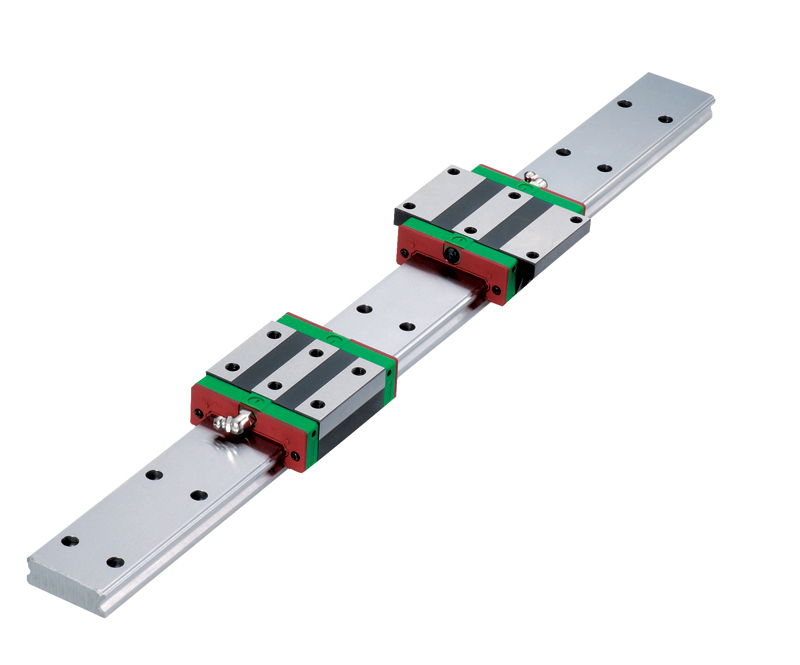 Therefore the QE linear guideway has broad industrial applicability in the high-tech industry where high speed, low noise, and reduced dust generation is required. The QE series is interchangeable with the EG series. HIWIN's QR series offers super high rigidity and very high load capacities. The QR series with SynchMotion™ Technology offers low friction, smooth movement, quieter operation and longer running life. 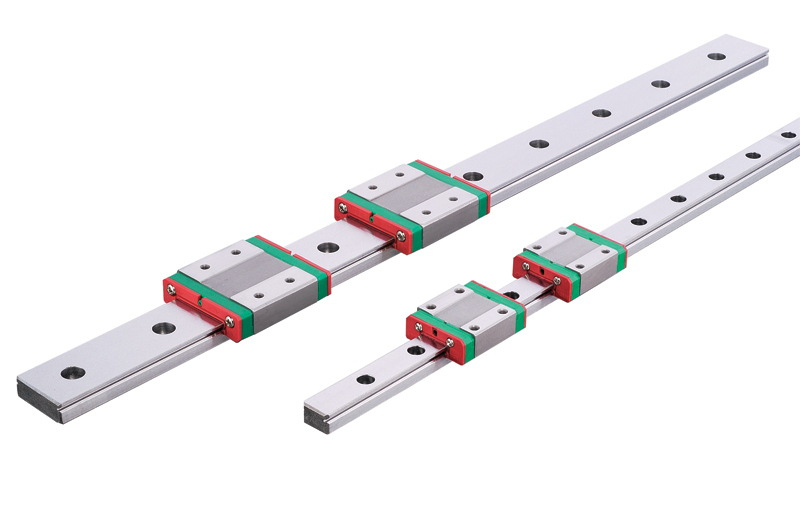 In industries where high accuracy, low noise and high rigidity are required, the QR series is the ideal guideway choice. The QR series is interchangeable with the RG series. 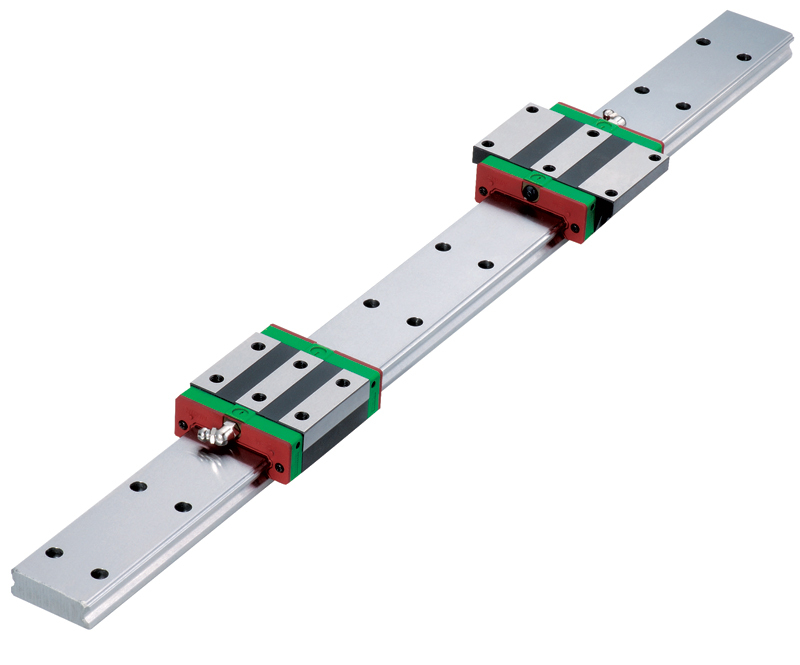 Hiwin's positioning guideway system integrates a linear guideway with a magnetic encoder. This solution offers the high stiffness and rigidity of a guideway while obtaining high precision from the magnetic encoder. 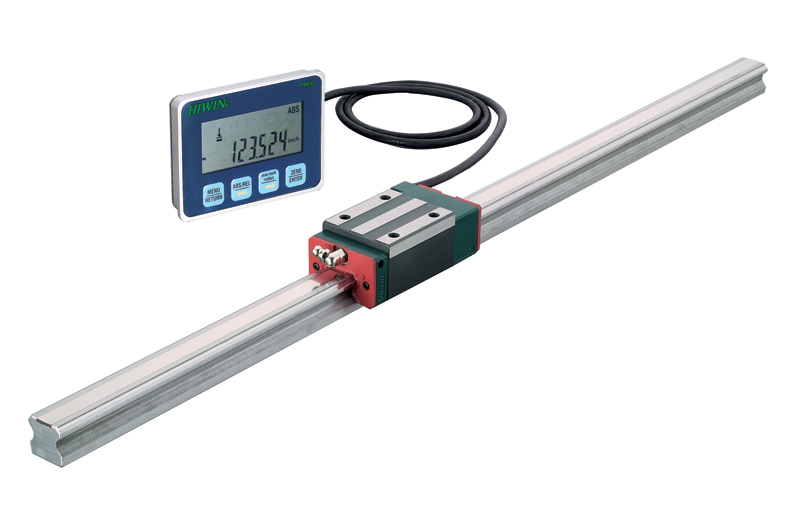 The encoder is a non-contact measuring sensor and the magnetic strip is embedded to prevent possible damage caused from external materials, these features ensure a longer service life. 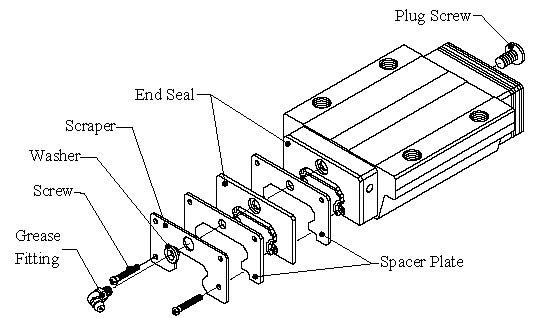 The E2 self-lubricating linear guideway has a lubricator installed between the end cap and end seal. The block is also equipped with a replaceable/refillable oil cartridge with a removable cap for easy replenishment of oil. Lubrication flows from the oil cartridge to the lubricator and coats the grooves of the rail and raceway via capillary action. HIWIN's E2 kit extends maintenance cycles and ensures long service life. The SE is a metallic end cap option for the linear guideway that increases temperature resistance. This option enables service temperatures up to 150°C and instance temperatures up to 200°C. For situations where a standard block is unable to operate due to the high working temperatures, the SE option is available for use. Dust proof attachments prevent material debris and dust particles from entering the block and causing damage to grooved surfaces. Dustproof options are recommended when a guideway is exposed to a high debris environment to ensure extended service life. The RC reinforced cap is constructed of an oil and abrasion resistant synthetic resin and elastic rubber O-ring. The cap provides high performance dust protection and is resistant to being unseated by vibration or shock.